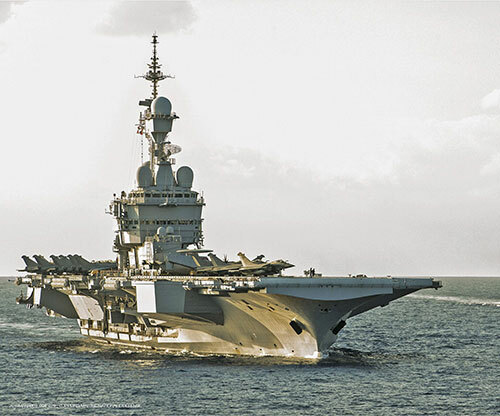 It will also enable the future front-line frigates of the FDI (‘Frégates de Défense et d’Intervention’) program and the future replenishment tankers of the BRF (Bâtiment Ravitailleur de Forces’) program to be integrated into the RIFAN 2 network. The network adaptations will involve both its central architecture and an update of the cybersecurity incident monitoring and detection system. Naval Group is the European leader in naval defense. As an international high-tech company, Naval Group uses its extraordinary know-how, unique industrial resources and capacity to arrange innovative strategic partnerships to meet its customers’ requirements. The group designs, builds and supports submarines and surface ships. It also supplies services to shipyards and naval bases. In addition, the group offers a wide range of marine renewable energy solutions. Attentive to corporate social responsibility, Naval Group is a member of the United Nations Global Compact. The Rohde & Schwarz technology group develops, produces and markets innovative communications, information and security products for professional users. The group’s test and measurement, broadcast and media, aerospace | defense | security, networks and cybersecurity business fields address many different industry and government-sector market segments. On June 30, 2018, Rohde & Schwarz had approximately 11,500 employees. The company has its headquarters in Munich, Germany. Internationally, it has subsidiaries in more than 70 countries, with regional hubs in Asia and America.